Australia’s agricultural traditions are embedded in our sense of national identity and fuel our economy. 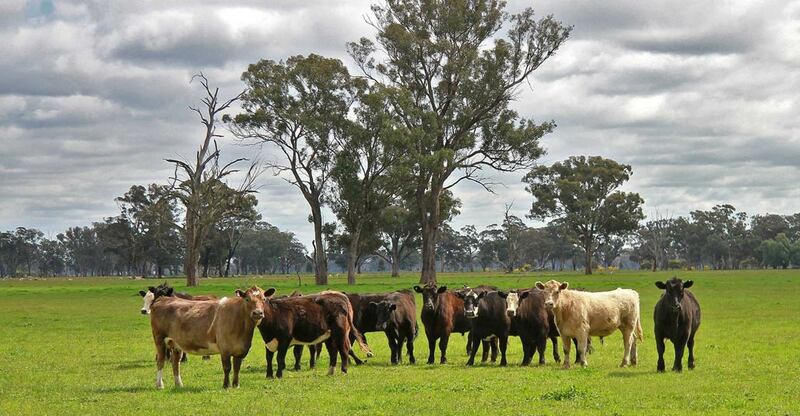 Recent books challenge basic assumptions about farming practices and point to sustainable alternatives, grounded in the specifics of the Australian landscape. 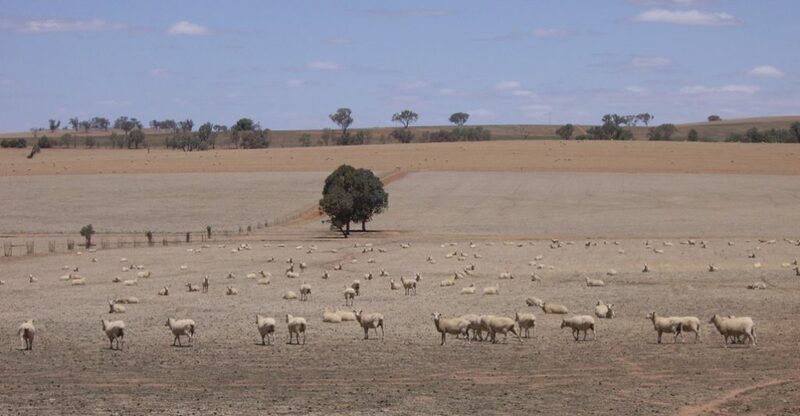 What if Australia were to stop farming? At approximately 3% of gross domestic product, the removal of agriculture from the economy would be a significant hit. It would affect our balance of payments — 60% of agricultural produce is exported and it contributes 13% of Australia’s export revenue. Towns that are slowly dying would collapse, jobs would go. But really the scandal of this thought goes beyond economics and into the very soul of the nation. The crucial insight to emerge from such a thought-experiment is that agriculture in Australia is a religion — it is as much a religion as it is an industry. The powerful ideological connection between Australia and agriculture is being increasingly and diversely scrutinised and comes to the fore in Charles Massy’s iconoclastic epic, Call of the Reed Warbler: a new agriculture, a new earth (2017), which throws into question 200 years of assumptions about what it means to graze animals in Australia. Massy’s joins a spate of recent books that seek to recast the basic assumptions on which Australian agriculture was built. They include Don Watson’s The Bush (2016), Bruce Pascoe’s Dark Emu, Black Seeds: agriculture or accident? (2014), (which has recently been turned into dance by Bangarra), Bill Gammage’s The Biggest Estate on Earth: how Aborigines made Australia (2012). If agriculture is a religion in Australia, these writers are its heresiarchs. It is a truism that Australia, overwhelmingly urban for most of its modern history, draws its identity disproportionately from “the land”. Those Qantas television advertisements with choirs of angelic children strewn elegantly in front of Uluru or the Twelve Apostles trade on the basic fact that Australians identify and want to be identified with the continent itself. There seems to be no dispute about the fact that the agricultural colonisation of Australia by Europeans has had far reaching consequences for the organisation of the continent’s biota. Serious questions about the way that Australia sustains people through the plants and animals that are husbanded on its ancient soils are not, of course, confined to the past several years. The revision might be traced to Tim Flannery’s The Future Eaters (1994), or even earlier to such seminal works of environmental history as Eric Rolls’ A Million Wild Acres (1981), W.K. Hancock’s Discovering Monaro (1972), and Barbara York Main’s Between Wodjil and Tor (1967) and Twice Trodden Ground (1971). What each of these writers did was to make the Australian environment, or some part of it, an actor rather than a stage. The environment for these writers was not some broadly passive, albeit resistant, thing out there that needed to be overcome, battled, tamed, brought into submission — it was a dynamic system of interrelated parts, where every action had cascading consequences and complex repercussions. At the centre of, or just beneath, all of these books is the attempt to try and locate some kind of basic environmental baseline. There seems to be no dispute about the fact that the agricultural colonisation of Australia by Europeans has had far reaching consequences for the organisation of the continent’s biota. In almost every possible way the land has undergone serious and widespread interventions. 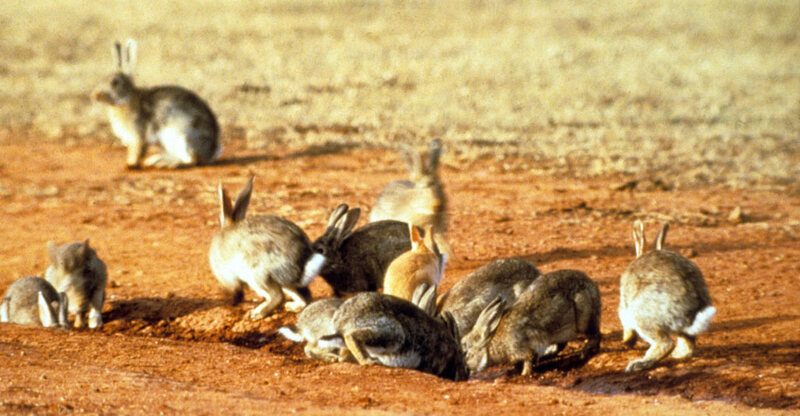 The introduction of new predators, notably cats and foxes, caused (and continues to cause) mass extinctions of species. The introduction of hooved animals, in addition to their utterly different patterns of grazing, also hardened the soil and changed the extent to which rain is absorbed or runs off the surface of the land, often carrying soil into rivers which now run faster but also then silt up and slow down. 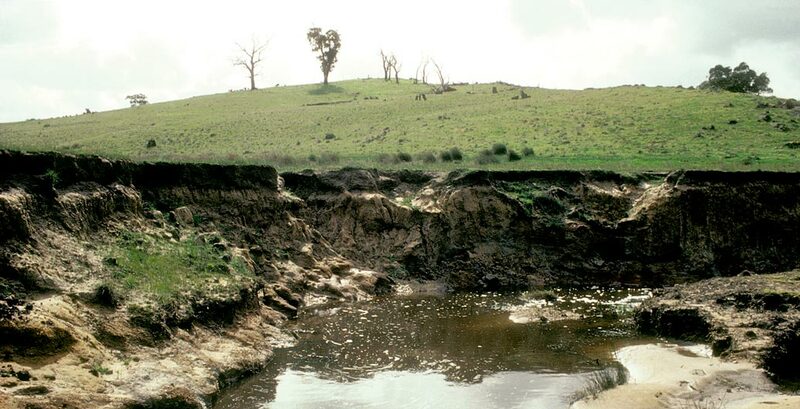 The removal of perennial, deep-rooted vegetation for annual crops causes groundwater to rise and dissolves salt crystallised in the soil, resulting in soil salinity. Fire regimes have changed radically. 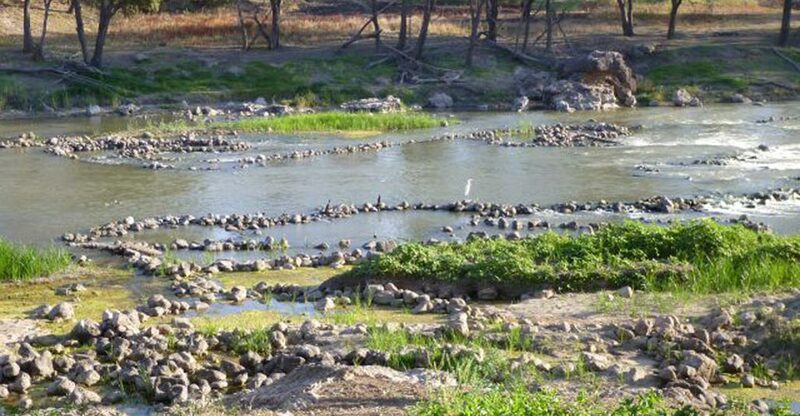 Rabbits and other rodents out-compete native herbivores, while European carp have transformed the major river systems of the south east. The list goes on, and it is surprisingly familiar to all of us. But as these things continue to run rampant, and as major questions begin to be asked about the sustainability of agriculture, we seem to be thrown backwards into the origins of these problems. And as we trace them back we come against the tantalising question of what it was all like before this. Before what? Before the arrival of Europeans. 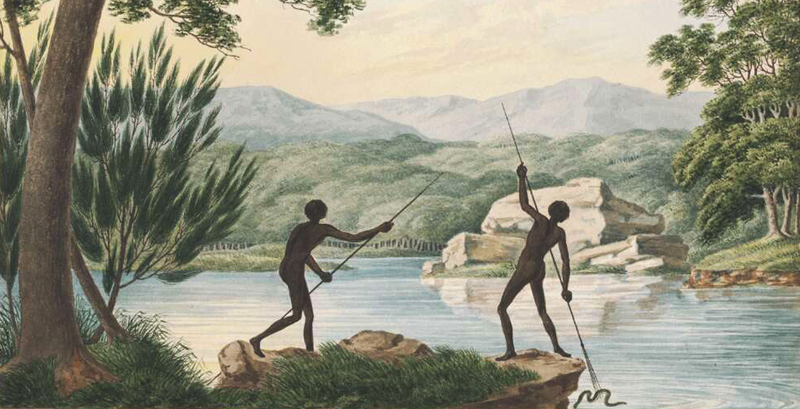 What did Australia look like in 1788, in fact? This is the question that each of these writers seems to be either answering, or at the least reacting against. In this respect, Bruce Pascoe’s Dark Emu, which builds in important ways on Gammage’s earlier book, provides the most concerted attempt to answer the question about the quality of the country — in particular, the interface between human and nature — in the pre-colonial epoch. Because of the oral quality of Aboriginal societies, many of these questions have traditionally been considered to fall beyond the province of history proper, and into the study of pre-history (archaeology) and anthropology. Indeed, there is something of a demarcation dispute around this crucial hinge between Aboriginal and European colonial lifeways. One of the strengths of Pascoe’s book is its ability to bridge archaeology, anthropology, archival history, Indigenous oral tradition and other more esoteric but highly revealing disciplines such as ethnobotany and paleoecology. The key contention in Pascoe’s book is that the whole distinction between the farming colonist and the hunter-gatherer indigene is based on a radical, and frankly self-serving, misunderstanding of the way that the Indigenous peoples of Australia lived in their countries. Pascoe assembles a persuasive case that Indigenous Australians farmed their land, lived in villages, built houses, harvested cereals, built complex aquaculture systems — possibly the earliest stone structures in human history — and led the kind of sedentary agricultural lives that were meant only to have arrived with Europeans in 1788. [Pascoe contends] that the distinction between the farming colonist and the hunter-gatherer indigene is based on a radical, self-serving, misunderstanding of the way the Indigenous peoples of Australia lived in their countries. Pascoe is an Indigenous historian and is clearly motivated by a desire to redress the serial denigration of Indigenous people. His cards are on the table, but this does not mean that he is not a rigorous and exacting judge of the historical record. Massy, for his part, was born and bred on a sheep and cattle farm on the Monaro plain — a farm he has now run for over 40 years. By his own confession, he spent the majority of his farming life assiduously contributing to the problems he is now just as assiduously diagnosing in The Call of the Reed Warbler. The book is in many respect a conversion narrative, documenting the moment when the scales fell from his eyes and he saw truly the world as it was — not a land made efficient and productive by the application of agricultural science, but a land emptied of its relationships and webs of life by a kind of collective psychosis. Farming wasn’t sustaining the land, it was ruining it. It was an extractive industry that had gobbled up thousands of years of sustenance in a few generations of sustained plunder. Don Watson’s book The Bush is the most literary of these recent contributions, and it moves effortlessly and elegiacally between science, history, reminiscence and anecdote. He has a writing style that is epigrammatic and sonorous, reminiscent of the way that, in an American context, Wallace Stegner treated the tumultuous history of the American Great Plains. Against the bluff empiricism that underpins Gammage and Pascoe, and the ardour of the convert that galvanises Massy, Watson offers something more elliptical and rhapsodic. He moves from his native Gippsland to Australia at large through a sort of sly mimicry of the discourse of the Australian bush. The bush is both the object of Watson’s study and his linguistic mode, since he draws his wry sensibility directly from Joseph Furphy or Henry Lawson. The distinctive admixture of acerbic humour, dark melancholy and a poignant apprehension of the absurdity of life that was the hallmark of the Bulletin school of writers. What all of these books are saying, and why they are in fact getting traction now, is that something is broken. These books are not announcing that the environment is broken — they merely mention this in passing, regarding this as beyond any reasonable doubt. Instead, what these books are announcing is that agriculture is broken. This, in the context of our self-image, is something that is much more terrifying and it will be savagely resisted. But each book is also hopeful in its way. None more than Charles Massy, whose book’s subtitle “A new agriculture, a new earth” is openly salvationist and The Call of the Reed Warbler is a detailed plan for the regeneration of degraded pastoral country that allows for both agricultural production and environmental recovery. 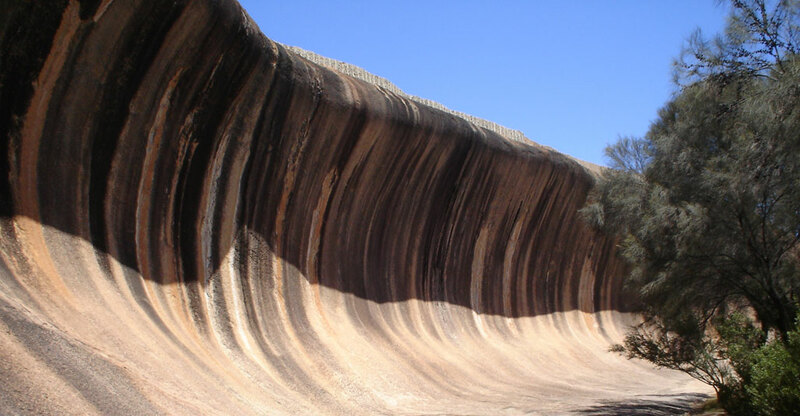 A few weeks ago, I was visiting the rock formation we whitefellas have called Wave Rock, in Western Australia’s southern wheatbelt. 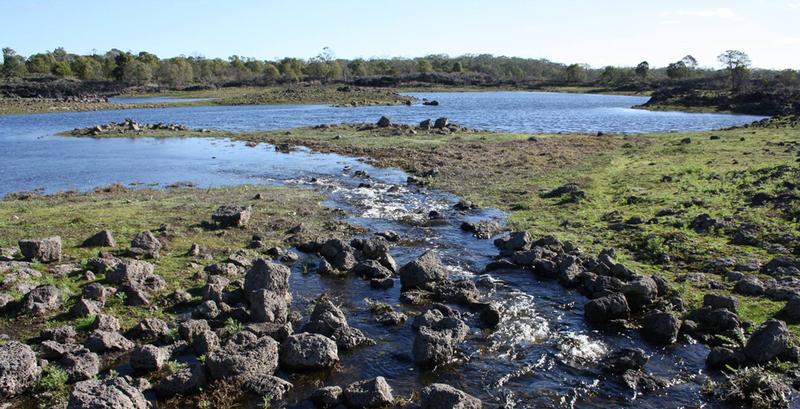 It is a stunningly beautiful granite outcrop and central to the lifeways of the Noongar people of this region. 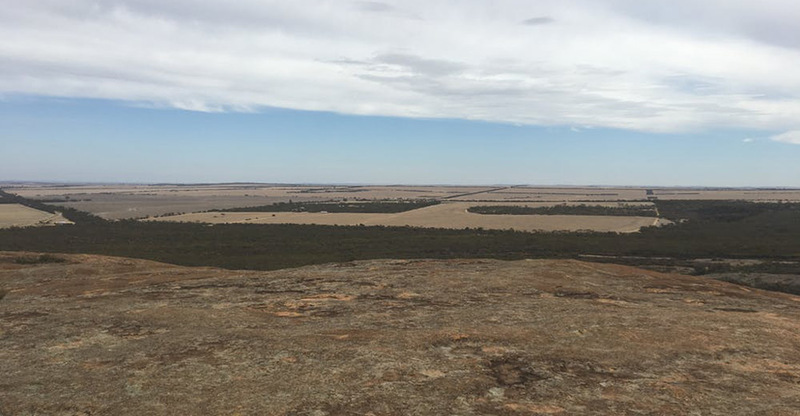 What stands out now is the contrast between the cleared fields stretching to the horizon in every direction and this tiny oasis of bushland surrounding the rock. 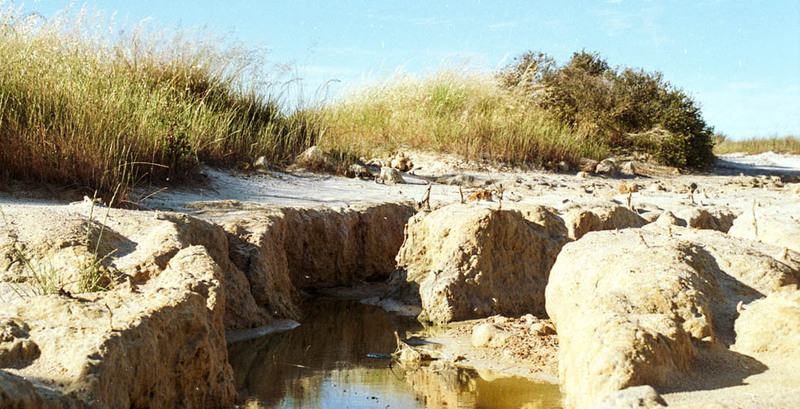 The paleo-river channels that shaped the landscape are now heavily waterlogged by a rising water-table and everywhere you see the signs of salinized soil — dead and dying shrubs and trees. But as tourists we carefully avert our eyes and pose for photographs at the rock. This is in many ways a microcosm of the determined blindness that these recent books are trying to rectify. Bangarra’s Dark Emu runs in Sydney at the Opera House until July 14 then will tour to Canberra, Perth, Brisbane and Melbourne. This article was originally published on The Conversation. Read the original article .